Ostatnie egzemplarze Coupé 2000 powstały w lipcu. 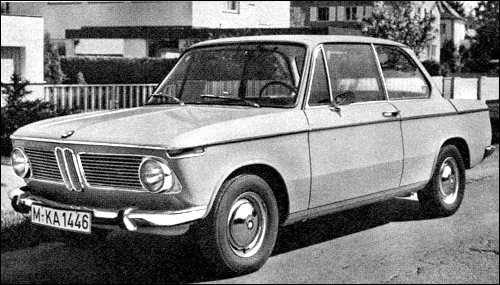 The 1600 was first introduced in 1966 and immediately it was hailed as a highly desirable two-door saloon of high performance - powered by a smaller-capacity version of the revered four-cylinder overhead camshaft engine from the old-established Bavarian company. It was the first new body from the works for some time, and its compactness and performance soon made it a favourite in Common Market countries. 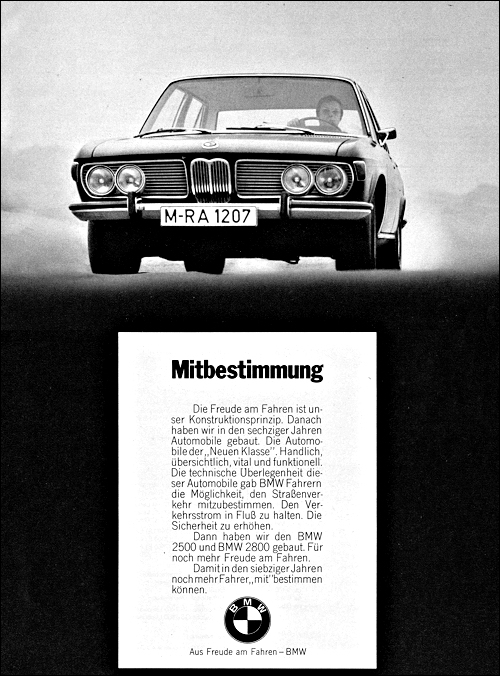 Less than two years later BMW also offered the 2002, an exciting model consisting of the 1600 unitary body powered by the two-litre engine. Maximum was up to 107 m.p.h. 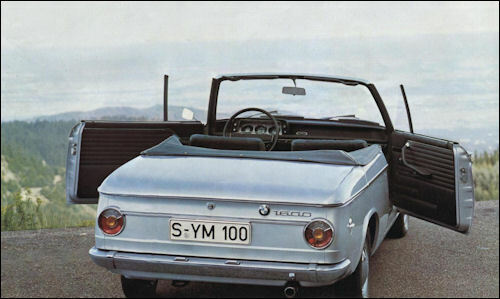 The BMW 2000 has been one of the Continent's great automotive success stories - after one of the shakiest starts imaginable. 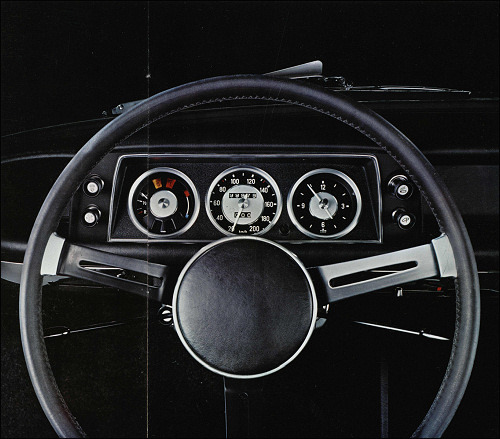 When first introduced as the 1500 in the early 'sixties, the manufacturers were in financial difficulties after their essays into large car and three-wheeler bubblecar production. 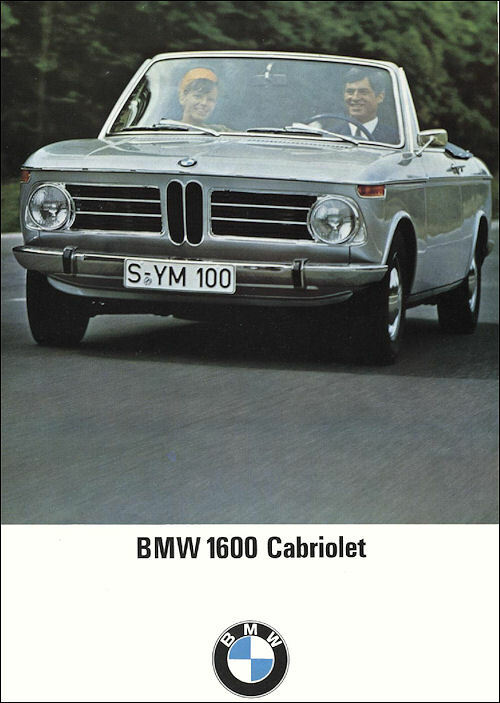 Finally the 1500 went into production and was an enormous success. The same basic hull was used for the later 1600, 1800, and now in modified form for the current 2000. 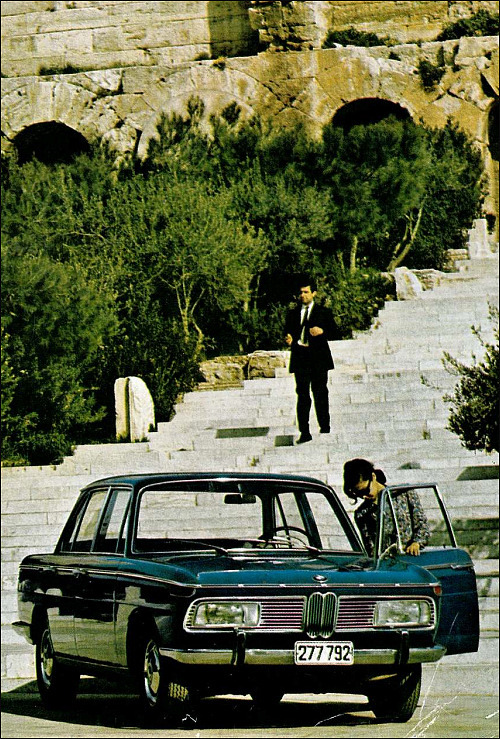 Still one of the most handsome medium-sized two-litre saloons, it is supplemented by the 2000TI. 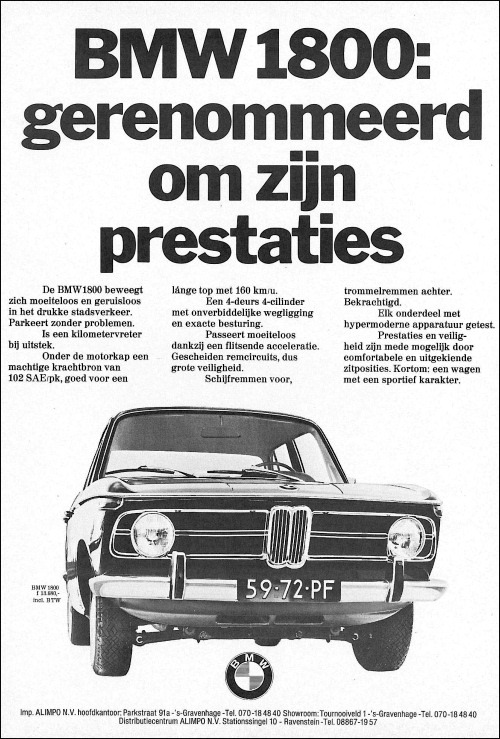 BMW came back into the large car market with a bang last year, the 2500 and 2800 having striking good looks, plus internal appointments in the limousine class. Both used six-cylinder-in-line overhead camshaft engines of great technical merit, the capacity change being rung by different strokes. 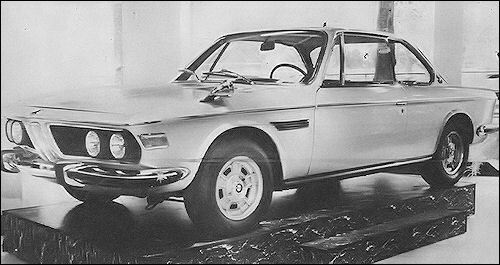 The 2800 is a large car but it has a sports car performance, with handling in keeping, and a top speed of nearly 125 m.p.h. 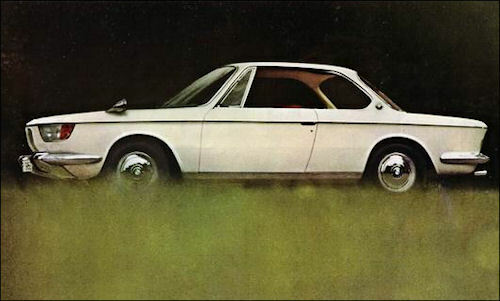 Using an identical engine the pretty 2800 CS Coupé is capable of 130 m.p.h. 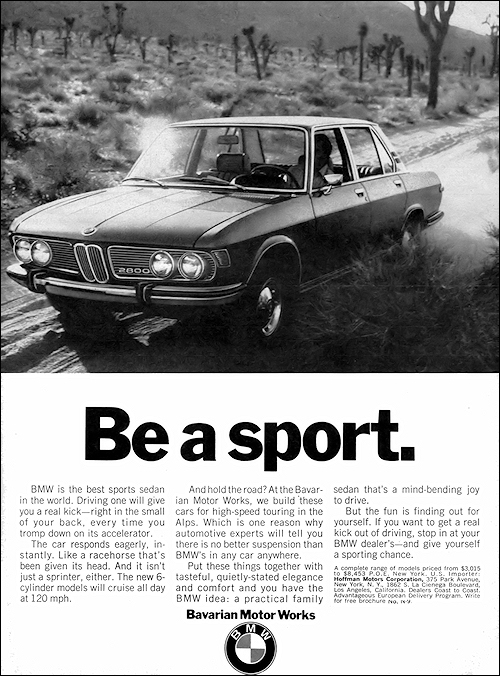 with staggering acceleration.